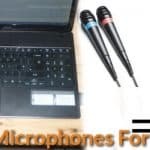 Clip-on lavalier microphones are essential accessories of any DSLR video kit, for it makes the filming of documentary and videomaking, especially, of narrative, tutorial, and training works easy. However, not all wireless lavalier lapel microphones are compatible with DSLRs. Some would require expensive DSLR audio adapters to make those lavaliers work well with DSLR cameras. Hence, if you intend to buy a lavalier mic for your DSLR, make sure that you buy the compatible one for your DSLR camera. There may be various reasons why we buy and use lavalier microphones, but one of the primary reasons is that of ease of hiding it. 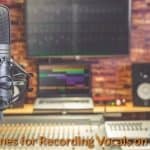 Hence, if ever you would buy a lavalier mic, you should consider this reason; you should consider its “hide-ability.” Some lavalier mics are designed to be hidden from sight or frame during the video recording session using your DLSR camera, while some can be readily hidden underneath collars or shirts. 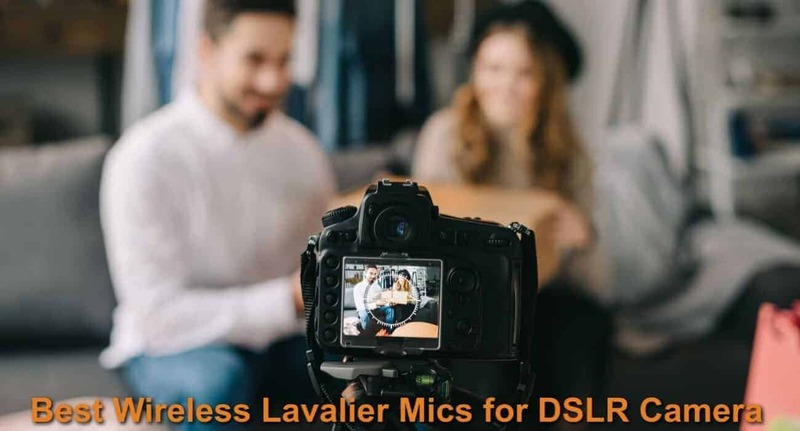 The noise factor should be foremost in your consideration when buying a lavalier lapel microphone for your DLSR camera. Since Lavalier mics come at relatively low prices, the temptation to settle for cheaper ones would be a great tendency. 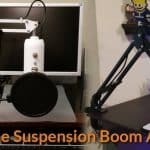 Some omnidirectional mics usually tend to be of low quality and pick up much noise, especially, after weeks of long usage. In such case, you will be required to minimize its audio input by using software for isolating noise. This move to minimize the audio usually sacrifices the low frequencies of audio inputs. Hence, it would be good at the onset to go for those lavalier mics that are of quality yet expensive. Lavalier Omnidirectional mics are generally easier to mount than those of the directional ones. Moreover, they can pick up sounds from different directions. Hence, you should opt for this type of lapel mics if you need to capture sounds from different directions during filming or videomaking. 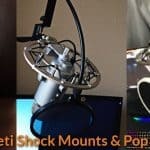 If you would use the lapel microphone inside a controlled and closed environment, you should go for directional mics, for this type of mics are mostly used in controlled and closed studio environments like in the newsrooms. Several decades ago, it would have been preposterous to recommend the wireless mics for video recording and filmmaking. Here are the reasons why? First, they were expensive then. Moreover, the quality of transmissions of sounds using the lav or lapel mics were highly questionable then. 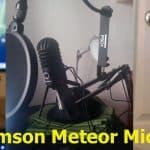 But with the improvement in transmission technology and the availability of less expensive but quality wireless mics, it is no longer unreasonable to recommend a wireless mic to filmmakers and video makers. If you are making a video film, therefore, you should without qualm opt for the wireless lapel mics for their use offer greater advantage now over that of the wired ones. The Sennheiser EW 112P G3 surely has a great reputation among video makers and filmmakers, owing to its durability and reliability. It is frequently used in countless television broadcast, feature documentaries, and films. The evolution of wireless G4, on the other hand, provides unparalleled flexibility for field recording and videomaking projects. Both the G3 and G4 models, however, present a robust wireless microphone system that provides excellent sound quality, ease of use, and simple mounting procedure. These two lavalier mic models are specifically engineered for use by broadcasters in the field. Both are ruggedly built and provide an all-in-one wireless system. Both wireless systems likewise feature a powerful and reliable wireless transmission within the range of up to 100 meters. Both provide 8 hours of operation time likewise. The G3 surely works well with DLSR cameras. Its kit is equipped with two distinct camera connection options. First, it has a connect option for bigger XLR-based cameras, while it also has another connection option for standard 3.5mm DLSR audio jack. It also works well with the Canon, Sony, Panasonic, Nikon, and many other types of DSLRs brands. This is a reliable wireless lavalier microphone system that can operate over JHF frequencies from 584MHz to 607.4MHz. It presents dual groups of 48 channels and can easily operate and connect from over 330 feet away. This system can also provide you with reliable and satisfactory audio for all your different audio recording needs. This system includes an omnidirectional lavalier microphone that could provide uniform frequency response while limiting unwanted pickup of noise. You can easily clip this mic to your shirt using the lapel clips, while at the same time, you can easily attach the transmitters to your belt or waistband. It is therefore very comfortable to use and works perfectly from a distance. Out-of-the-box, you will receive a wireless receiver, two bodypack transmitters, 2 Omnidirectional lapel mics, two lapel clips, two windscreens, two belt clips, camera shoe mount, 3.5mm output cable, XLR output cable, system carrying case, and a user manual. This Rode Rodelink model is a wireless microphone system for both video and film production. It comes with a lavalier microphone, RX-CAM receiver, TX-Belt wireless transmitter, and captive TRS cable. This system makes use of a Series II 2.4 GHz 128-bit encrypted digital-transmission signal which is characterized by continuous monitoring and hopping between different frequencies for finding the strongest signal. It also offers a high signal-noise ration and provides digital transmission the with high-resolution 24-bit 44.1 kHz. Its audio signal range of up to 328 ft. You can simultaneously use up to 8 systems with this system. The Rodelink Wireless also comes with an iSeries Case from SKB. It is designed for accommodating the Rodelink transmitter and receiver bodypacks. These bodypacks also come with accessory pockets that can readily hold other accessories and the lavalier mic. It also comes with a Watson 4-Hour Rapid Charger together with a 4 AA NiMH Rechargeable Batteries.